The perfume bottle comes in a super soft pink / beige / peachy kinda packaging with an image of the bottle itself printed onto it. 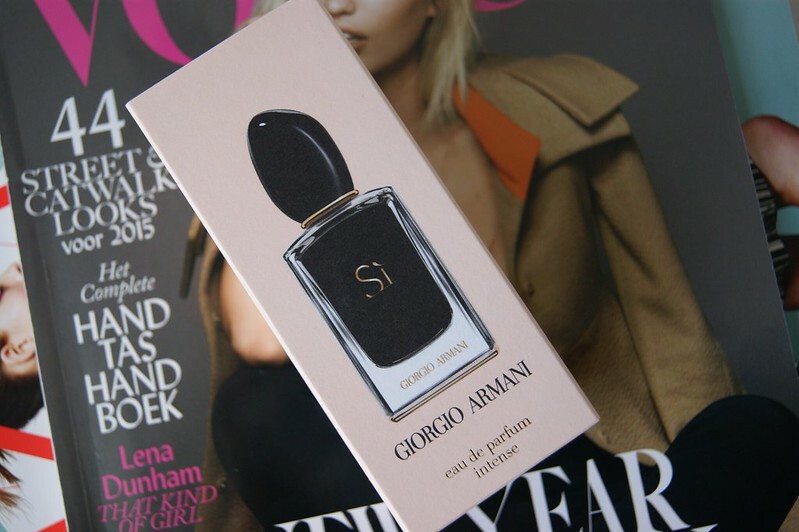 When you slide the outer packaging off, you will find another one which actually contains the perfume bottle. 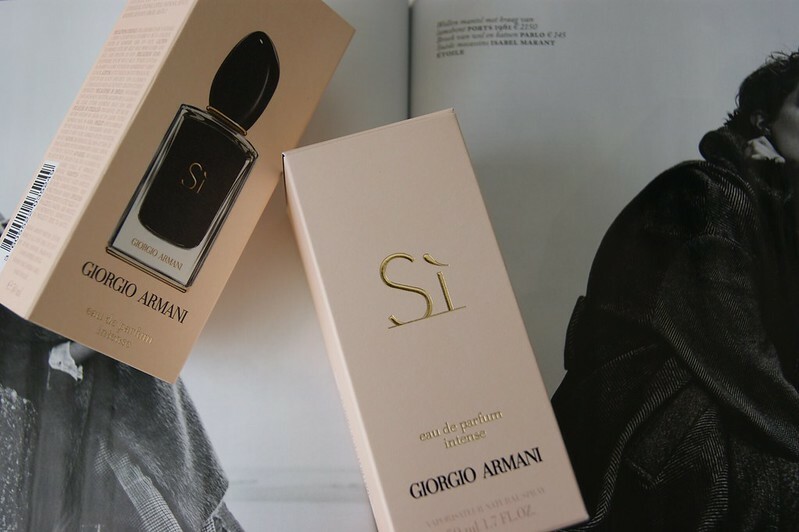 On the second packaging, Sì is printed in golden letters, along with the designer's name in black (as you can see in the pictures above, obviously). The perfume bottle itself is quite heavy, which might be an issue if you carry your perfume bottles in your purse. 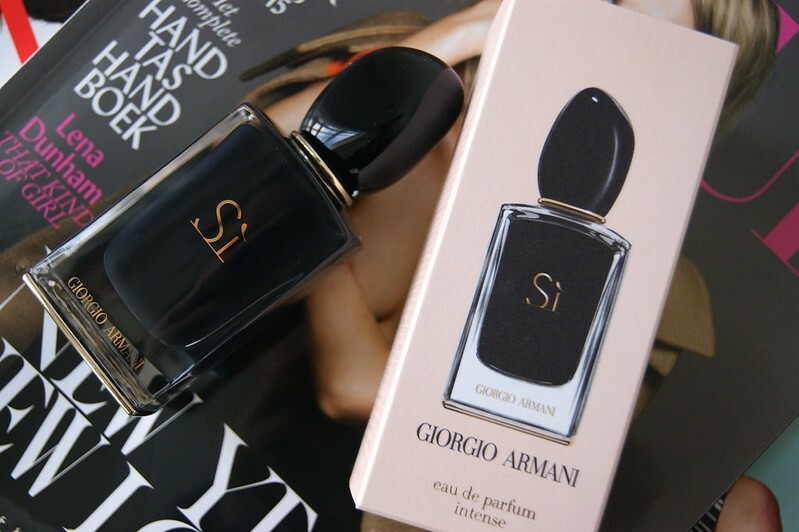 It's made out of solid glass and has, again, Sì and Giorgio Armani engraved onto it. The part that contains the perfume is pitch black, which I personally love. I just simply adore the black and gold details. However, you won't be able to see how much perfume is left because of this, which could be an issue as well for some people. The tap is a black, asymmetric ball which reminds of some kind of gem in a way. In my opinion, this scent is perfect for this time of the year, as it is quite heavy. 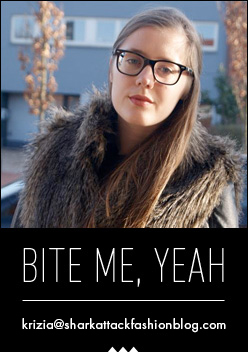 It took some getting used to compared to Miss Dior Chérie, but I'm very happy with my choice. It's also perfect to wear to a party or an event during the evening. 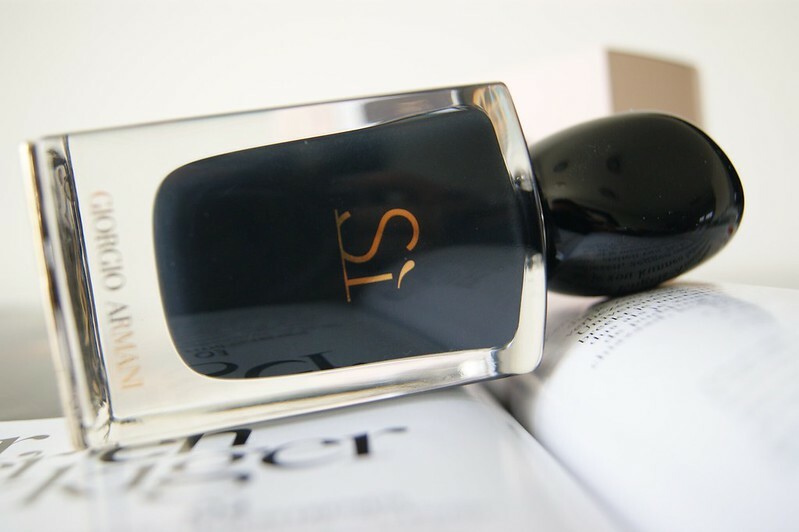 Fans of the stronger, heavier perfumes will definitely love this one. Seems lovely! Maybe this is one for my wish-list! Ik ben grote fan van dit parfum, vind het zo goed! but this one sounds awesome as well! mmm so curious about this scent! Like a lot the design of this fragrance, I think it will be a great gift! You have a very nice blog dear and I will be glad if we follow each other? just let me know and I follow back! It fragrance must be beautiful! Need to try it out! Hmmm, je hebt me benieuwd gemaakt. Denk dat ik binnenkort eens ga snuffelen bij de Ici Paris! I haven't tried this perfume yet. I really like the packaging. Great post. Ik vind dit best een goeie geur maar voor mezelf verkies ik een minder commerciële geur. Hier hoor ik zoveel positiefs over, ben heel benieuwd! Interesting bottle design, being all black in the centre! Like you noted, would be hard to tell when you're running low on it or what the level is. Maybe it's so you'll buy more just to never run out, haha! Prettige feesten! En wat een mooi flesje eigenlijk..